Unless you have been living under a rock for the last decade, it is becoming apparent that robotic technology is getting more and more intelligent. Robots can already choose the ripest tomato and perform precision injections. However, they are not renowned for their delicate nature. Now, online grocer Ocado is testing a ‘soft’ robot hand that can pick fruit without damaging it. The robotic arm comes as a result of the close collaboration between Ocado Technology and the Technische Universität Berlin (TUB), and represents an integral part of the SoMa project - a European Union-funded, Horizon 2020 programme for research and innovation in the field of humanoid robotics. Alexandru Voica, Technology Communications Manager, Ocado Technology, explained the technology behind the robotic hand: "The gripper is based on air pressure, which controls the movement of the robotic fingers.” Actuators are mounted on a flexible printed scaffold and air is moved to specific areas of the hand to control its movements. Pneumatic valves mean that the hands adjust to cradle objects with a wide variety of shapes. Voica continued: “What we are trying to do is combine computer vision - being able to recognise products by looking at them - with the control aspect which is the gripping aspect." Currently at Ocado’s automated warehouse in Andover, Hampshire, robots select crates to make up customer orders. These crates are then handed over to a human team who select the best quality goods but Alex Harvey, Head of Robotic and Autonomous Systems, Ocado, said that “the overall goal is to automate picking of every single item we have." Ocado has approximately 4,000 people working at its warehouses, hence this quest for higher productivity levels and profits raises fears of job losses. In addition to the robotic hand, a humanoid maintenance robot is being developed called SecondHands. 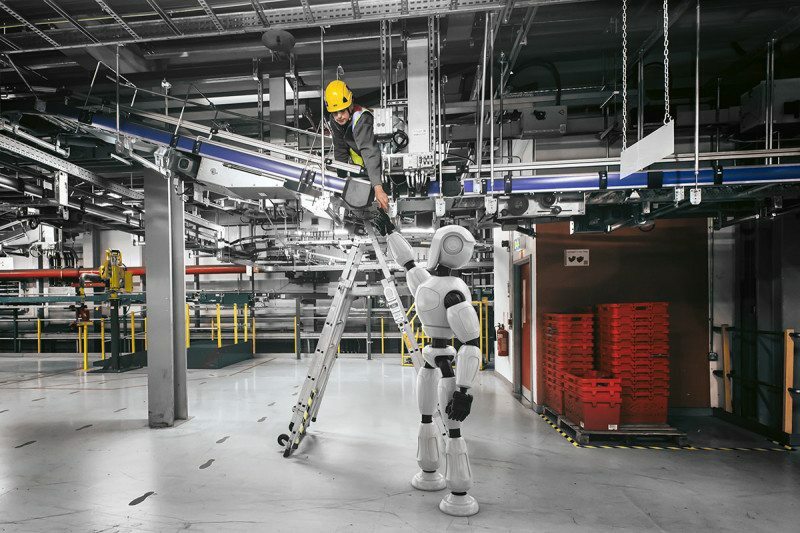 This robot acts as a ‘second pair of hands’ that can work in collaboration with a human colleague to maintain the warehouse. At present, the robot hand can only grip onto fruits and vegetables, but in the future the company envisages that it will also be able to distinguish the ripeness levels. We can now begin to visualise a completely automated warehouse, with just a few human workers left to oversee essential areas. Problems with human rights in the workplace? Develop a robot instead!